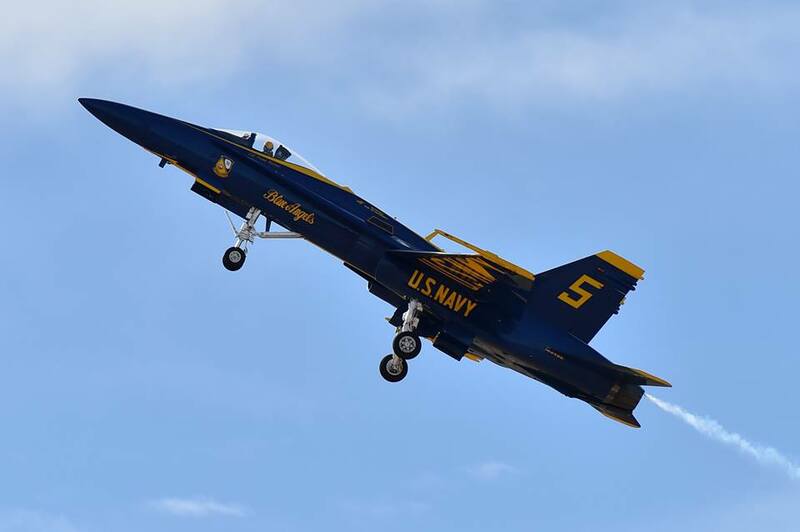 A Blue Angels F/A-18 had a bird strike at the Vero Beach air show on Apr. 21. The number five aircraft had ingested a bird during the display. The incident happened Saturday when lead solo pilot Lt. Tyler Davies was taking part in the team’s demonstration. Davies was able to land the jet safely. “The bird strike did not interfere with the pilot’s ability to land the aircraft. Lt. Davies’ reaction, and the coordination conducted by Blue Angels support personnel on the ground and in the air control tower, ensured the landing was executed safely, routinely, and with as little impact to the rest of the ongoing demonstration as possible,” Lt. David Gardner, spokesman for the team, said to Pensacola News Journal. Gardner said Davies landed the fighter jet after receiving an engine malfunction warning. “Safety of our pilots, the air show audience and the surrounding community is always our primary concern, and Lt. Davies’ prudent actions were completely appropriate and underscore the culture of safety the entire Blue Angels team embraces,” Gardner explained. He added that officials would try to identify the type of bird that went into the plane’s engine. “In these cases, we attempt to have the remains analyzed to determine the species, but it takes a while for results to come back,” Gardner said. He said Monday that accurate estimates of repair costs and down time for the jet won’t be available until a thorough assessment is finished. “Bird strikes are fairly common, and our pilots, and all naval aviators, are trained to deal with any number of contingencies that could occur during flight, including bird strikes,” Gardner said. Catherine Caddell, director of marketing for the Vero Beach air show, said previously that the bird caused an estimated $1 million in damage to the F/A-18 Hornet‘s engine.